File photo by Rahim Sharafi: IRIAF McDonnell Douglas F-4E Phantom II of 31st TFS from Shahid Nojeh Tactical Air Base (TAB-3) – Hamedan. 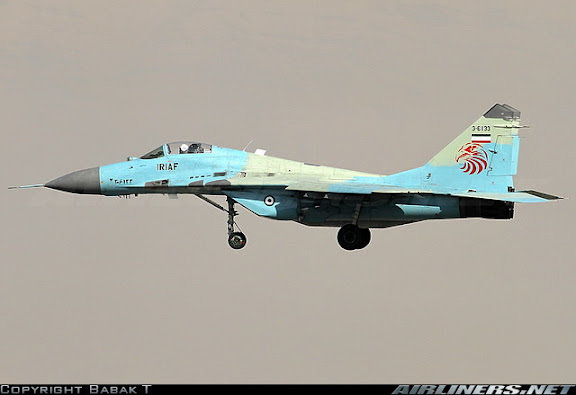 File photo by Babak Taghvaee: IRIAF Mikoyan-Gurevich MiG-29B (9-12B), serial 3-6133 of 11th TFS from Shahid Lashkari Tactical Air Base (TAB-1) – Tehran. 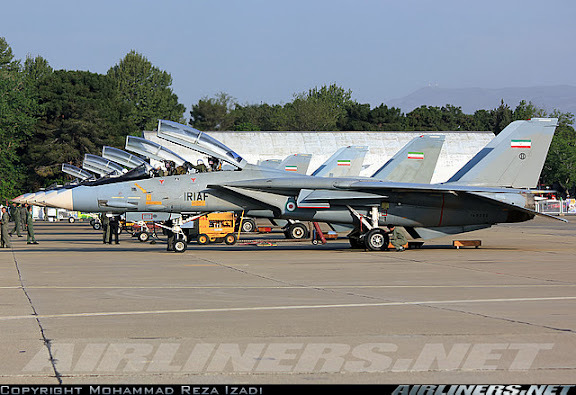 File photo by MohammadReza Izadi: IRIAF F-14A Tomcats of 81st/82nd TFS from Shahid Babei Tactical Air Base (TAB-8) – Isfahan. 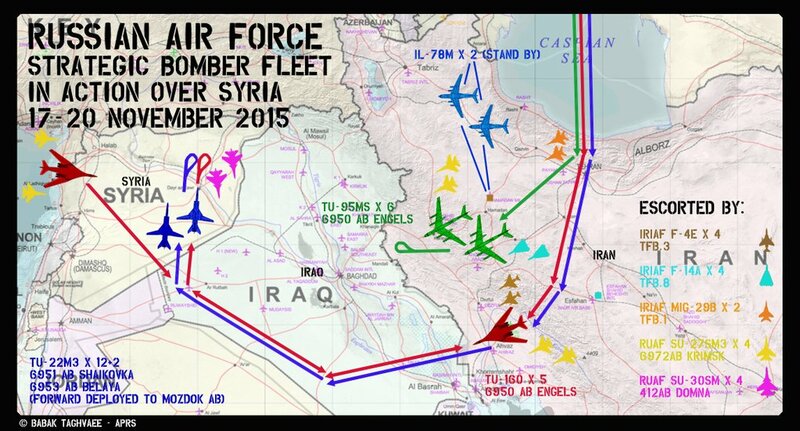 F4's and F14's escorting Russian bombers through Iran, Iraq to Syria. Talk about arms falling into the wrong hands. Gets unprecedented day by day! Interesting picture of the F4. Whats the nozzle coming out at the bottom directly below the cockpit. A Cannon/sensor/radar? Anyone? Both the models look in pristine condition for this photo shoot. Iranians should be proud of their magnificent men and women that keeps those machines going! But back to arms falling into the wrong hands Whats the latest from Yemen? How's the US's gulf allies in their F16's , F15's, Tornado's and Typhoons going in their quest for a better world. Gosh hope they can declare mission accomplished soon and start contributing elsewhere. A sortie of Russian bombers straddling the border of the Islamic Kingdom of The Sauds. On its way to demonstrate its firepower. In the past year or so I read of a supposed meeting between Putin and the Saudi's, after which Putin or Russian media claimed that Russia was threatened by the Saud's. "We can make trouble for you" may have been the sound bite? Is this familiar to anyone? Price of oil doesn't look like coming up anytime soon. Unless? I corrected the ALCM type as Kh-101. The "nozzle" under the nose of the Iranian F-4E is the M61A1 Vulcan 20mm cannon with 640 rounds which was added after US experience in Vietnam requiring close gun support for dogfights and ground suppression fire. The IRIAF models were the most modern at the time of delivery 1972-77 and had the then state of the art systems like TISEO (target identification system, electro-optical) that worked like a modern BVR combat analysis computer generated HUD. It was a very good combat tree for its day. There was no Vulcan cannon on the DF/QF/RF models. That is a canon . F-4 was originally designed as purely a missile carrier , but the air to air missiles turned out to not very effective in very close range aerial dog fights . Hence the unsightly protrusion that is a gun . I'm not entirely sure but from what i learned of the F-4 phantom it could be one of two things. Either it is the M61 cannon or it is a sensor for detection of other aircrafts' heat emission. 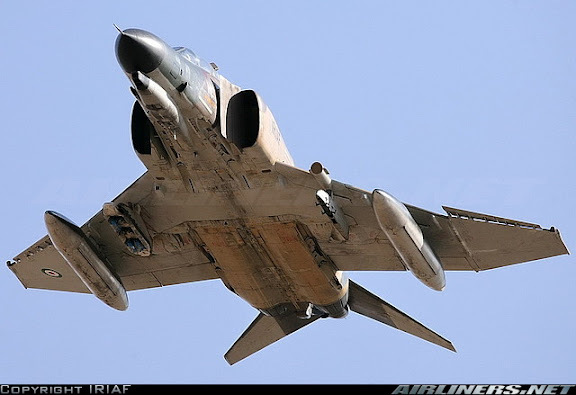 Certainly Iranians should be proud and feel lucky to have such a capable military jet as the F-4, it did serve its pupose well during the 8 years of war. With that said, the Iranian air force should be looking to aquire modern advanced fighter-bombers. This is no longer the 1970s or 80s. The threat environment has evolved and it should be in Iran's best interest to keep its air force up to date by obtaining the latest military hardware from China and Russia. One look at the other side of the Persian Gulf should clarify the point. I agree Brigadier General. I would expect Russian/Chinese and Iranian co-operation will certainly take place. The time frames and specifics will be fascinating. A more militarily balanced Persian Gulf would be better. I just hope the Iranians will be able to field a modern air force before the Saudi's or Israel or some American nut lights the fuse of a powder keg and attacks Iran. It will be interesting to see how Russia and China choose to read the JCPOA articles regarding the military embargoes regarding Iran. Given all the overlapping tensions around the globe they may well decide the threat of terrorism and Iran's front line status supersedes the 5 year wait on many types of weapons. 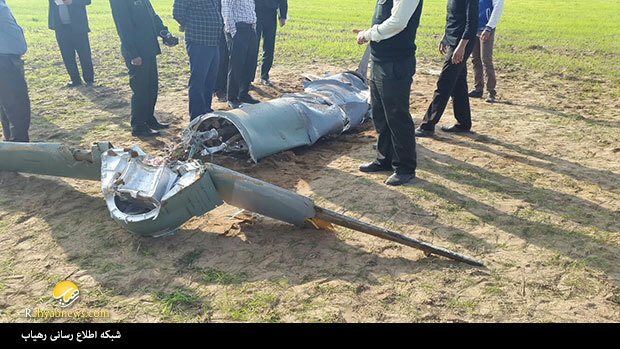 Either way unacknowledged technology transfers and some plausible deniability could improve Irans anti ship, ballistic and above all air defences in a reasonably quick period of time.